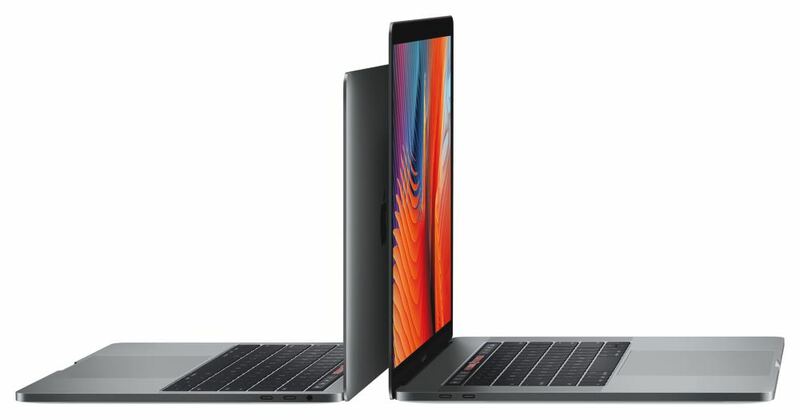 Apple’s new MacBook Pro introduces numerous improvements including the all-new Touch Bar and is stunningly thinner, lighter and smaller than the previous version of the popular laptop. But while Apple giveth, it also taketh away. There is no questioning the stunning design and the slick overall look and feel. It’s a product that only Apple could have made. Yet it seems like something had to give to achieve this svelte design and to pack in these added features. What you won’t find aboard the 2016 MacBook Pro is the MagSafe charger (so if someone trips over your cord it won’t crash to the floor), the HDMI port (great to connect the MacBook Pro to a TV or projector for a presentation or to show off photos) and the SD card slot (to import pictures and videos from many DSLR cameras). Has Apple just streamlined things for us or are we going to miss these deleted features? Apple does what it does best with the MacBook Pro’s look and has refined the design and shrunk everything down significantly. 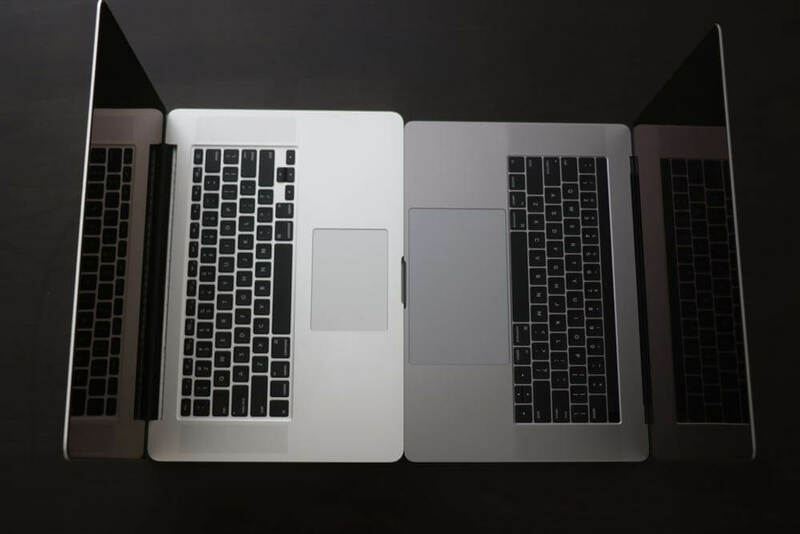 Sit the old MacBook Pro down beside the new model and you’ll be truly amazed at the difference. It is 14 per cent thinner and with 20 per cent less volume. The previous model MacBook Pro was our daily drive so we knew it very well. So, imagine our delight when we got our hands on the latest MacBook Pro. But the size and shape of the laptop is only one side of the design changes. Other noticeable changes include the removal of every port from the old MacBook Pro with the exception of the headphone jack. Ironically the headphone jack was removed from the iPhone 7 but it is the only survivor on the 2016 MacBook Pro. What we do get with the 15-inch MacBook Pro which we reviewed are four USB-C ports (there are only two on the entry level 13-inch model). 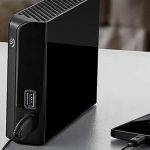 But Apple calls them Thunderbolt 3 ports even though they are identical to USB –C ports seen on the MacBook and other brand laptops, tablets and smartphones. Through these ports you can connect HDMI (with an adaptor), USB 2.0 and USB 3.0 (with an adaptor) and a SD card (with another adaptor). 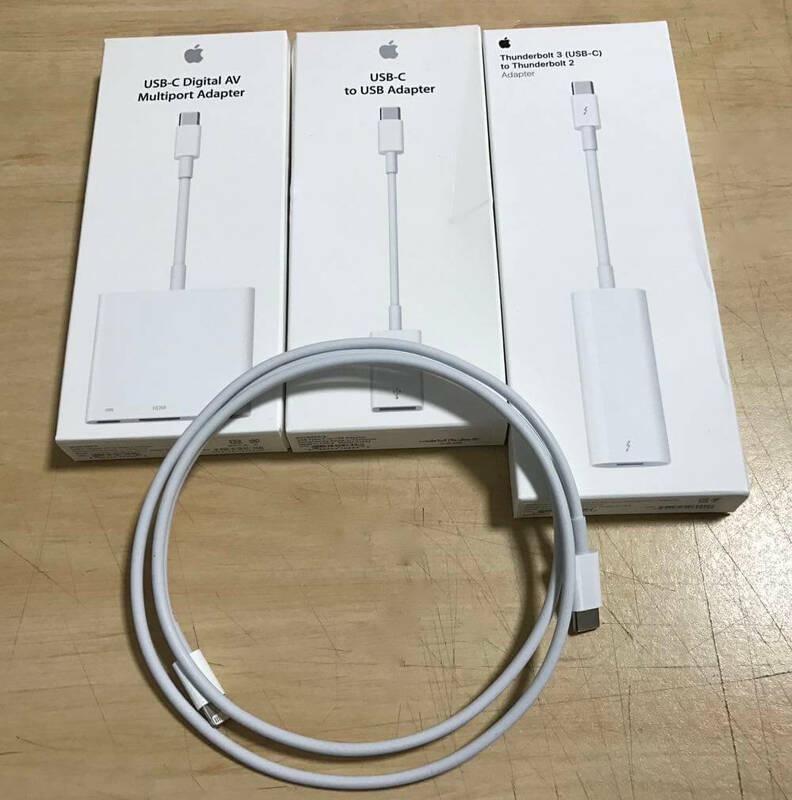 In fact, when Apple provided the 15-inch MacBook Pro review unit they included four adaptors that would have cost an additional $157. The other big change is, of course, the Touch Bar – but we’ll talk about that later. 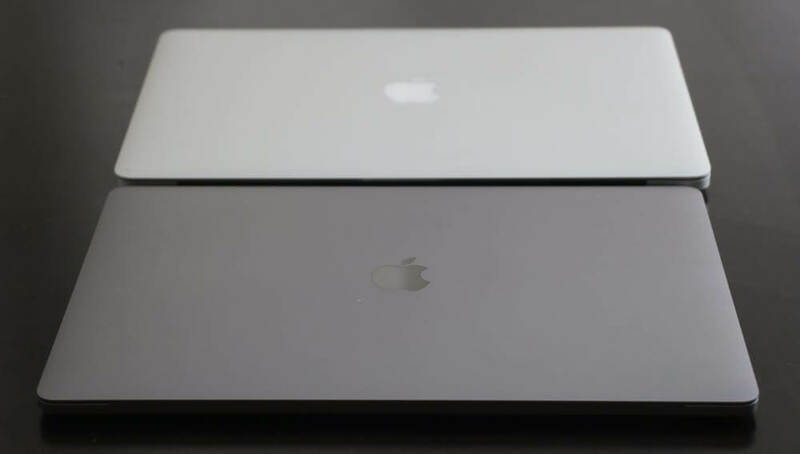 Apple’s new MacBook Pro is also available in silver like the previous model and a new space grey colour. Space grey was our preferred colour but the only downside here is that scratches (which expose the silver aluminium underneath) are a lot more visible. If the silver model is scratched you probably won’t notice it. Apart from the design, the biggest change to the MacBook Pro is the all-new Touch Bar. This is a narrow OLED screen that has replaced the row of functions keys in the row closest to the screen. 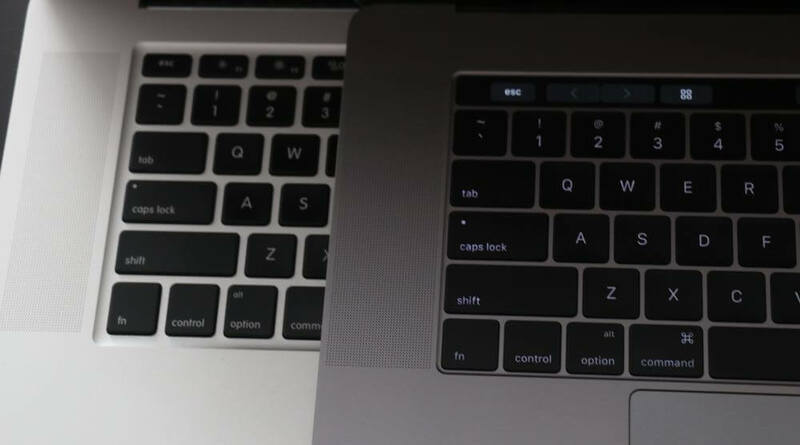 Now the Touch Bar adapts to the application that you’re using and puts added functionality at your fingertips. 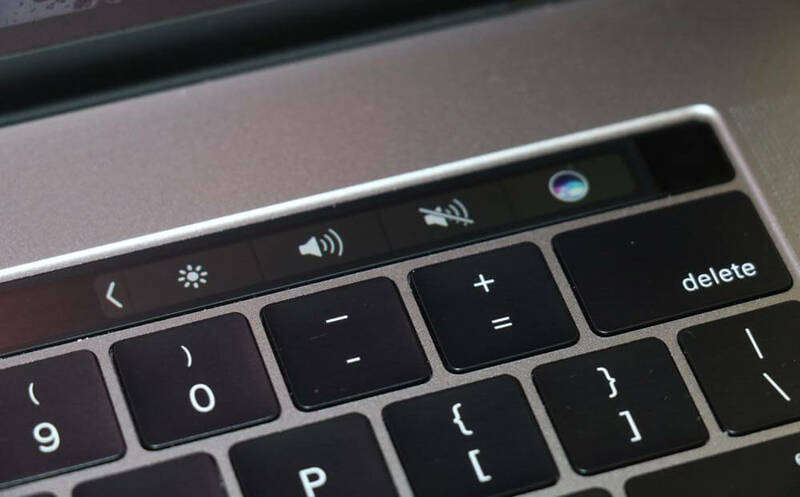 Rather than offering a touchscreen like so many other PC laptops today, Apple has decided to go with the Touch Bar which is closer to the keyboard where your hands are already located. It makes sense that rather lifting your hand from the keyboard to interact with the screen they can stay down and easily access the Touch Bar. Your appreciation and use of the Touch Bar will rely on the applications you use most often. It offers your regular media controls and volume but then changes to make your email, calendar and Safari browsing even more intuitive with shortcuts and commands literally at your fingertips. For photo editing, it adds a bit more control so you can access various sliders and controls for a little more precision. 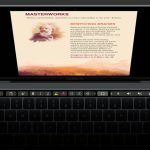 Video editors will also love the Touch Bar especially if they are using Final Cut Pro. You now get an interactive display of the time line. It’s like gaining an extra hand to work with in the tricky editing process. In emails, you can also have suggested words and emojis as well. The Touch Bar doesn’t replace the mouse or trackpad – it’s just as easy to click on the command than to touch it with the Touch Bar. 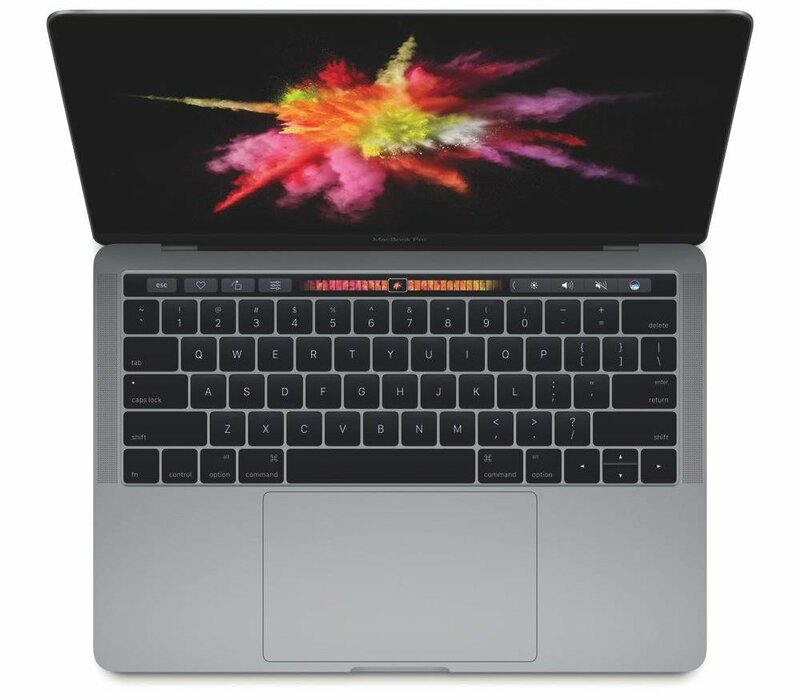 But it is only going to improve judging by the many developers already hard at work developing Touch Bar features and functionality for their applications. An excellent feature of the Touch Bar is now Touch ID so now you can register a fingerprint, just like on the iPhone, to unlock the computer, install software, authorise app downloads and Apple Pay purchases. Our only issue with the Touch Bar was it was sometimes hard to read outside in bright sunshine. Apple has changed the keyboard and introduced the same key size and structure that was introduced with the MacBook. If you’re coming from an older MacBook Pro like we are, it is going to take some adjustment. The keys on the previous model were smaller and more spaced apart. Now the keys are wider and flatter and for us it was easier to hit the key beside the one we meant to strike. The keys don’t have as much travel as the old keys – because they’re a lot shorter – but the result is slightly noisier typing. 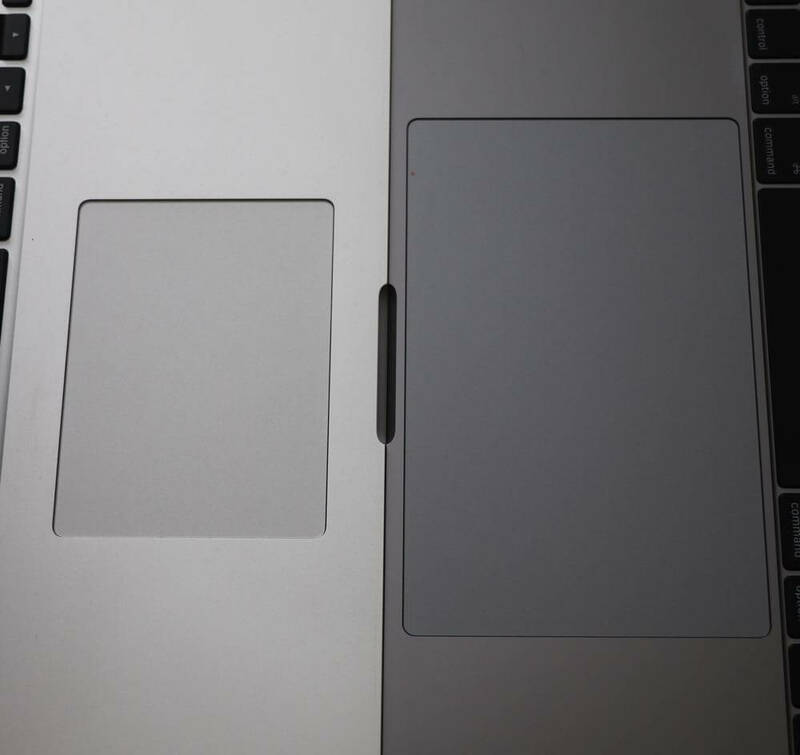 The trackpad is now gigantic – more than twice the size of the previous model and easier to make gestures and add other features. We normally use a mouse with our MacBook Pro and we found we used the larger trackpad even more because of the ease of doing things like cropping images, zooming and scrolling thanks to that luxury of extra space. This is most controversial part of the new MacBook Pro. The decision to add four USB-C ports and remove the HDMI port and SD card slot has been passionately defending by Apple. But many people, including us, are disappointed that Apple has removed the options. The company is basically telling us that is what you’re getting rather than giving us what we need. Earlier this year Apple decided you don’t need a headphone jack on the iPhone 7. I can live with a different shaped USB port. I actually prefer the USB-C style because it will give me back the time I wasted plugging USB cords upside down. Now that’s not an issue. The HDMI port – which we have used quite often to make presentations – will also be missed but I can live with using an adaptor when I need it. For me, and I suspect many others (especially professional photographers), the removal of the SD card slot was a big mistake. We can’t imagine removing the SD card slot would save them any millimetres on the design. 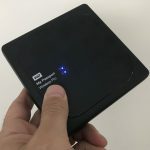 Yes, you can transfer images wirelessly to the computer but that will take longer than physically connecting a memory card. Yes, you can save everything to the cloud and access your pictures and videos from there. But what about if you don’t have an internet connection? We understand not every photographer even works with SD cards but the bulk of them do. The MacBook Pro is called Pro because it is aimed at professionals. 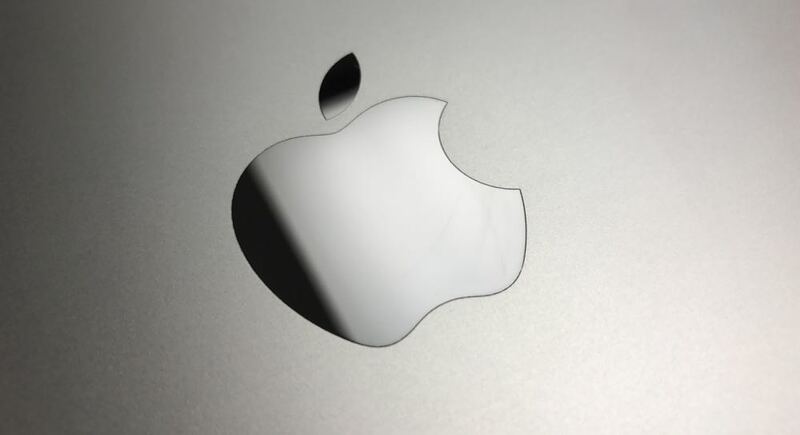 One area of professionals – photographers and videographers – must be feeling a little disillusioned after years of loyalty to Apple products. Now to upload images and videos from a memory card, you need yet another adaptor. 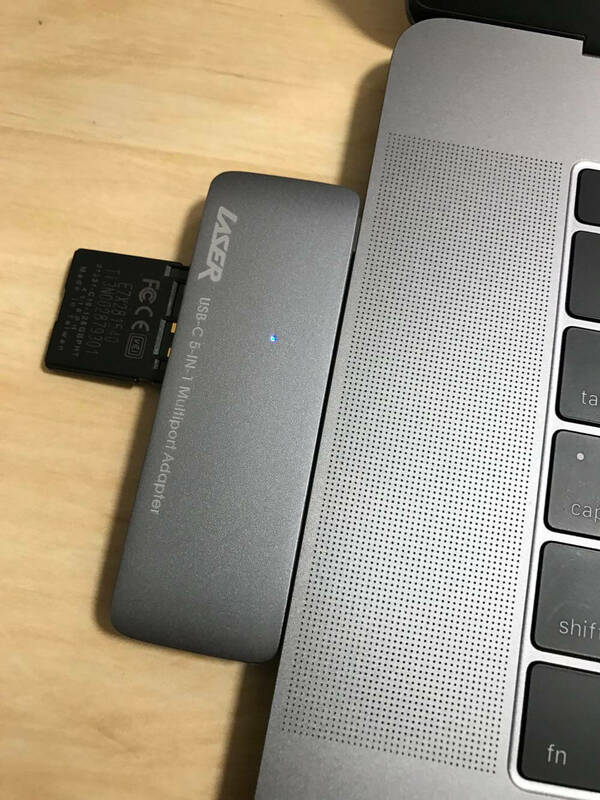 We used a 5-in-1 USB-C adaptor from Laser to load up the images from our memory card. 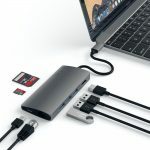 The advantage of having USB-C ports is they can all deliver power, data and connectivity. Now you can use any of the four ports to charge the computer rather than being limited to one on the left side. But none of the ports have MagSafe so be careful no one trips over your cord because your new MacBook Pro will fly off the desk. One thing that must be appreciated with this new connectivity is the power and speed of the connection. You can power two 5K displays from the MacBook Pro and transfer data with up to 40Gbps throughput. One thing Apple has hit out of the park is the amazing Retina display. It is 67 per brighter, with 67 per cent more contrast ration and 25 per cent more colours. It is easily one of the best screens the company has ever made. Photographers and video editors will love it (once they work out a way to get their content on to the computer) and their images and videos will look amazing and accurate. It’s a pleasure to look at all day long. 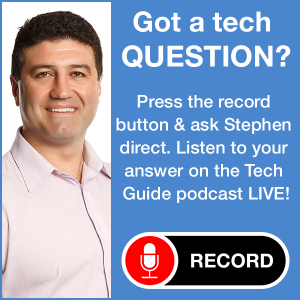 Another noticeable improvement on the new MacBook Pro is the audio quality. The speakers on either side of the device are louder and clearer with remarkable stereo separation so your music and movies on the MacBook Pro will sound better than ever before. Performance-wise, the MacBook Pro has certainly stepped up a few notches. 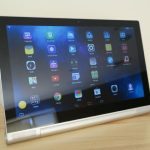 It is powered by Intel’s sixth generation quad-core processor with Turbo Boost speeds of 3.6Ghz. Speed should be the MacBook Pro’s middle name because it powered through intense applications like video editing and graphic design. 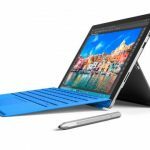 The 15-inch model comes standard with 16GB RAM, you get 8GB with the 13-inch which can be bumped up to 16GB. There’s also a discrete Radeon Pro graphics processor so gaming, video editing and 3D graphics are all smoother than ever. Apple says the new MacBook Pro has a 10-hour battery life when connected to wi-fi and 10 hours of movie playback. For our review, we used the MacBook Pro constantly throughout the day and we were getting about eight and a half hours of battery life before we needed a recharge. That’s a whole day’s work that we could get through and while it’s not up to the 10 hours that Apple claimed, it was still pretty impressive. Apple has produced an impressive product with the MacBook Pro. The four-year wait on the design change was certainly worth it in terms of look, features and performance. But of more concern are the features that Apple has removed like the SD card slot and other ports that has held this laptop back from being the best we’ve ever used. These decisions risk alienating the very customers that made Apple into the powerhouse company it is today. The MacBook Pro is still a great laptop, but it could have been insanely great. 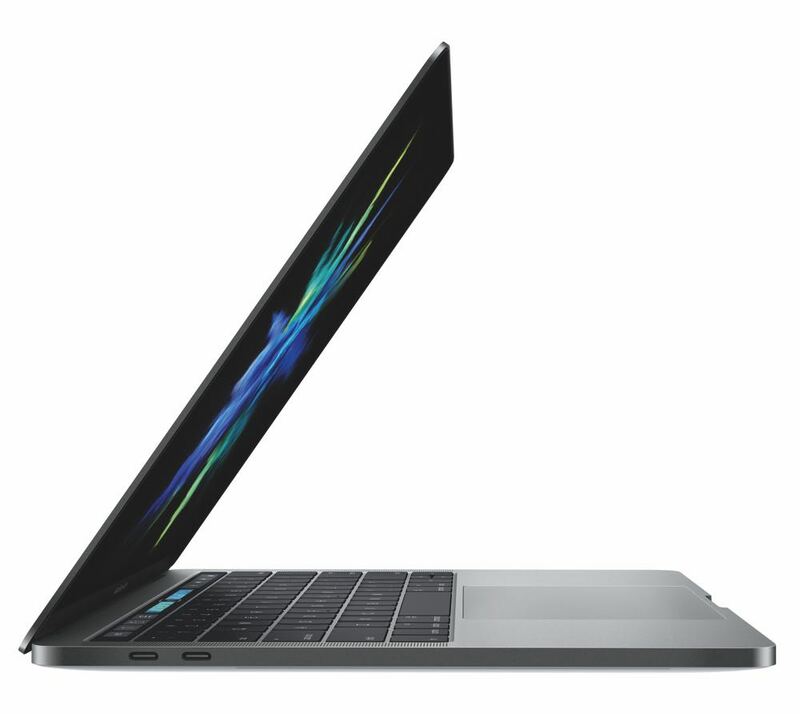 Price: 13-inch (no Touch Bar): from $2,199; 13-inch (with Touch Bar): from $2,699; 15-inch (with Touch Bar): from $3,599. PROS: Thinner, lighter, stunning display, excellent audio quality, fast and powerful, Touch Bar. CONS: No SD card slot, no HDMI port, Touch Bar hard to read in bright light, scratches more visible on space grey model, expensive. VERDICT: Apple has produced an impressive product with the MacBook Pro. But the features that Apple has removed like the SC card slot and other ports that has held this laptop back from being the best we’ve ever used. The MacBook Pro is still a great laptop, but it could have been insanely great.